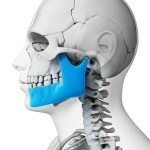 Mandibular fractures are relatively common and about 12-40% involve the mandibular angle. The use of three-dimensional (3D) strut plates is increasingly being suggested as an alternative to conventional miniplates. The aim of this review was to assess whether there was a difference in clinical outcomes between standard and 3D miniplates in the management of mandibular angle fractures (MAFs). Electronic searches were conducted in PubMed, Cochrane Database of Systematic Reviews, Cochrane Central Register of Controlled Trials (CENTRAL), Embase, Medline, Alt HealthWatch, Health Source: Consumer Edition, Health Source: Nursing/Academic Edition, CINAH, SPORTDiscus, and Electronic Journal Centre. In addition manual searches were conducted in a number of oral and maxillofacial surgery journals. Randomized or quasi-randomized controlled trials (RCTs), controlled clinical trials (CCTs), and retrospective studies in humans were included. Study selection was carried out by 4 authors independently and a quality assessment undertaken. 6 studies (3 RCTs, 3 retrospective studies) involving a total of 307 patients were included. One study was considered to be at high risk of bias 2 at medium risk and 3 at low risk. Meta-analyses were conducted for a range of outcomes including infection, malocclusion, wound dehiscence, hardware failure, nonunion/malunion, paraesthesia, and trismus. Statistically significant differences for the incidence of hardware failure and postoperative trismus were identified. The cumulative odds ratio was 0.42, meaning that the use of 3D miniplates in the fixation of MAFs decreases the risk of the event (postoperative complication) by 58%. The results of this meta- analysis identified lower complication rates with the use of 3D miniplate fixation in comparison with the use of standard miniplate fixation in the management of MAFs. inadequate evidence to support the effectiveness of a single approach in the management of mandibular fractures without condylar involvement. The more obvious finding in this review of a benefit for 3D miniplates in this review could be due to the inclusion of the retrospective studies. Al-Moraissi EA, El-Sharkawy TM, El-Ghareeb TI, Chrcanovic BR. Three-dimensional versus standard miniplate fixation in the management of mandibular angle fractures: a systematic review and meta-analysis. Int J Oral Maxillofac Surg. 2014 Mar 15. pii: S0901-5027(14)00063-0. doi: 10.1016/j.ijom.2014.02.002. [Epub ahead of print] Review. PubMed PMID: 24637159.